It’s been so hot here lately that most days when I get home from work I just want to lay around under a ceiling fan with a glass of ice water. 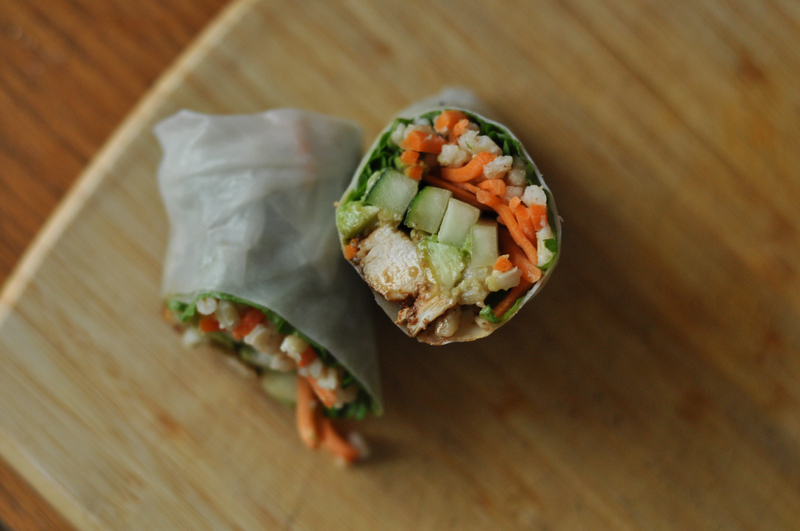 Cue these rolls; summery, cool, light, and only require heat for cooking a chicken breast and some grains (if you make veggie rolls, then you wouldn’t have to turn on your stove at all!) I am a huge believer in the idea that healthy eating has to be a practical, sustainable lifestyle. Therefore, make the rolls however you want! Get creative with the veggies, meat, and grains – this is a great way to use whatever you have laying around the fridge or pantry. (Also, this isn’t so much a recipe as it is a starting point for healthy creativity; no specific measurements or ingredients here!) Have fun with it! I promise you won’t be disappointed! Marinate meat in a 1-1-1 blend of soy sauce, rice vinegar, and chili-garlic sauce for about thirty minutes. 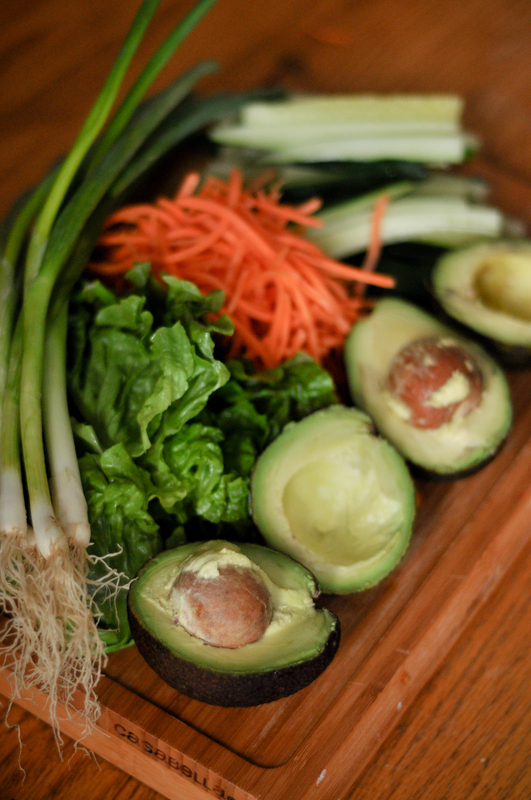 Wash and chop/shred all of your veggies and lay them out where they’ll be easily accessible. Saute meat until cooked through and set aside. Now you’re ready to assemble! 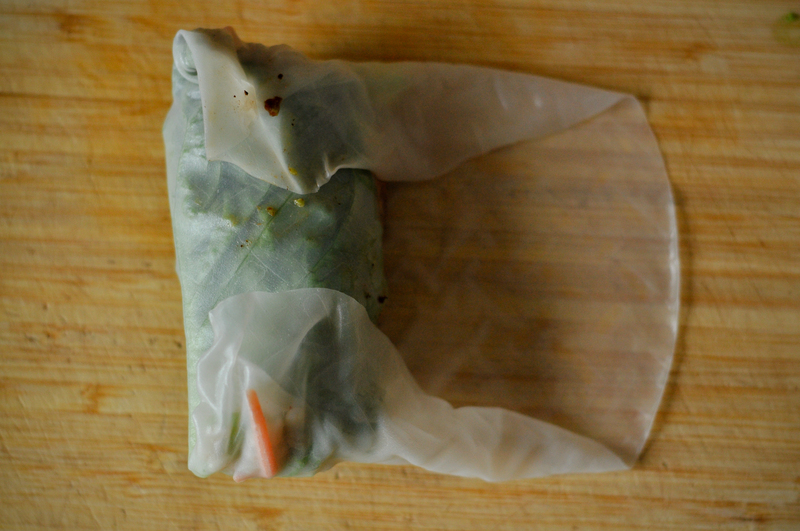 Fill a large bowl or baking pan with warm water; this will be where you’ll soften the rice paper sheets. Dip a rice paper sheet into the warm water for 3-5 seconds until it is pliable but still firm (it will continue to soften as it sits). 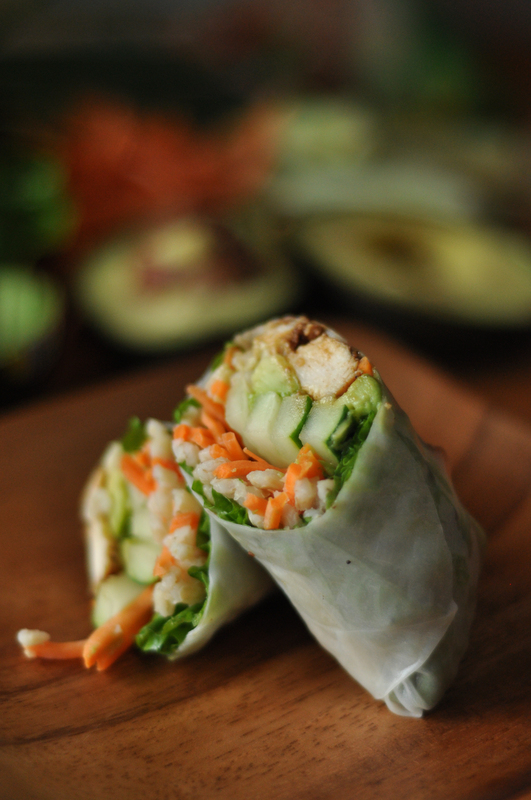 Eat your rolls right away or wrap in plastic wrap and keep refrigerated. These make a great lunch to take to work! 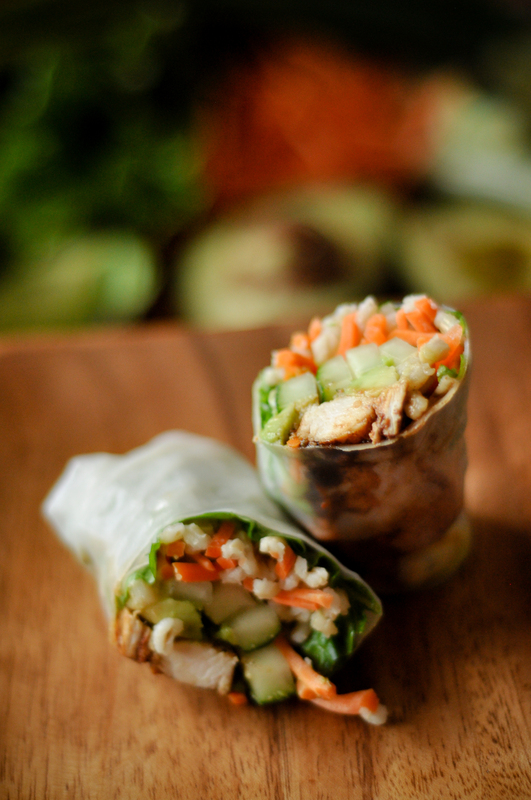 What’s a summer roll without a dipping sauce? I made a blend of hoisin sauce, soy sauce, rice vinegar, chili-garlic sauce, and sliced green onions – it was delicious! Try this blend or maybe some sweet and sour sauce or hot mustard.